Rangpur City Corporation has given a one acre plot of land to CRP for constructing a divisional centre there. CRP receives a huge number of patients coming from different divisions. So establishing a service centre in each division of the country has become the most important issue. Recently CRP has received a plot of land at Sylhet, a property at Mymensingh Agricultural University and also started its services at Pabna at the premises of Pabna Diabetic Samity. The agreement signing with Rangpur City Corporation added one more place to the list of CRP’s service centres across the country. 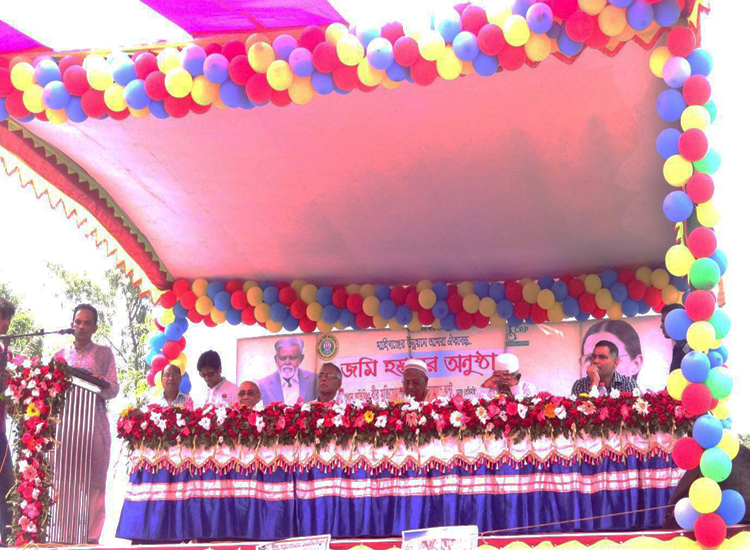 On April 26, 2017 CRP organized a land hand-over programme at Rangpur where CRP received a very warm welcome from the people of the city. The Chief Guest of the programme was Freedom Fighter Sarfuddin Ahmed Jhantu, Mayor, Rangpur City Corporation. CRP’s Executive director, Md. Shafiq-ul Islam, attended the function as the Special Guest. Both guests signed the agreement on behalf of their respective organizsations. CRP is hoping to start its services very soon with the name CRP-Rangpur City Corporation there.